Much like “carb-loading” before a big race to fuel you up later on, a new study shows that frequent exercise early in life can be “stockpiled” to benefit you down the road. A recent report published in Medicine & Science in Sports & Exercise compiled fitness data from a group of Olympic track and field athletes over nearly fifty years. Twenty-six men were tested extensively before the 1968 Olympic trials on their aerobic capacity, or VO2 max. At the time, they were all in their early twenties and performed excellent on the tests—at or above the 98th percentile for average men their age. All of the men had remained physically active through the years, except during cases of injury and illness, mostly via walking, jogging, or cycling. While their VO2 max scores had declined significantly since originally being tested in 1968, they were still ranked in the top ten percent of American men over the age of 60 and exhibited signs of good cardiovascular health. 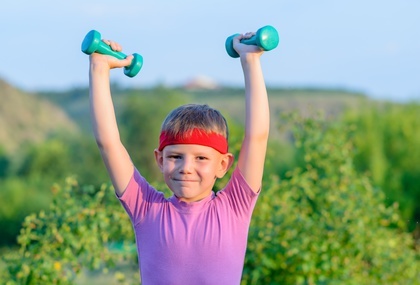 Here’s the take home message: the data suggests that a firm commitment to exercise when you are young, along with continued light to moderate exercise as you get older, can help your body age better. Texas Orthopedics believes that staying active is essential in everyone’s life, no matter what your age. The better you are at establishing a good fitness routine in your younger years, the easier it will be to stick with it as you get older. Physical activity later in life also helps to keep muscles and joints healthy, strong, and flexible while fending off debilitating conditions like arthritis/osteoarthritis and preventing traumatic injuries like broken bones and fractures.